Asus Zenfone 3 was launched in India today alongside the Zenfone 3 Deluxe and Ultra. The latest smartphone from Asus comes with a 5.2 / 5.5 inch full HD Super IPS+ LCD display and an octa-core Qualcomm Snapdragon 625 processor. It comes with 3 GB RAM and 32 GB internal storage; the company also announced the 4 GB RAM and 64 GB version. Out of the two phones, only the 3 GB version is available for purchase at the moment, while the 4 GB version is expected to be made available soon. We pit the newly launched Zenfone 3 against the slightly older Xiaomi Mi 5 to find out which phone is better in the sub-20k price range. 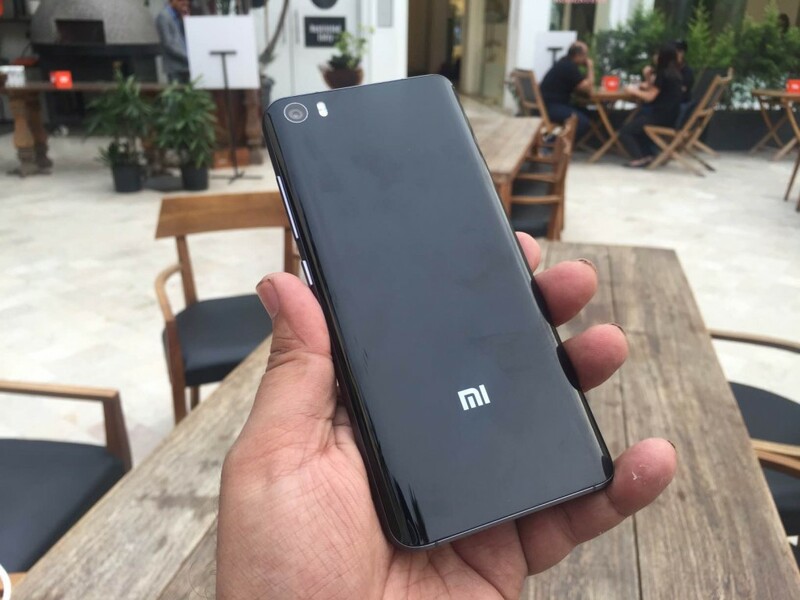 The Xiaomi Mi 5 also continues to follow the same trend of a metal frame with glass covering the front and the back. However, in this area, the Mi 5 is better than the Zenfone 3 since it uses Gorilla Glass 4. Additionally, it comes with a much more minimalist design. That gives it extra points in this category. The Asus Zenfone 3 comes with a 5.2 inch / 5.5 inch Super IPS+ LCD display with full HD (1920 x 1080 pixels) resolution. It comes with a pixel density of ~424 PPI / ~401 PPI. In terms of protection, the device comes with Corning Gorilla Glass 3. In our time with the device today, we found the display to be very good in terms of colour reproduction and sunlight visibility. The Xiaomi Mi 5 comes with a 5.2 inch IPS LCD display with full HD (1920x1080p) resolution. It comes with a pixel density of ~424 PPI. The display is protected by Corning Gorilla Glass 4. Given that this is a flagship smartphone from Xiaomi, the company has made sure the display is a proper, flagship-level quality one. The colour reproduction is just about right and the brightness is very good as well. To sum it up, display quality is hardly a concern these days. Both the Zenfone 3 and the Mi 5 come with high quality 5.2/5.5 inch full HD displays with good brightness and colour reproduction. The Asus Zenfone 3 is powered by a Qualcomm Snapdragon 625 processor coupled with Adreno 506. The device comes in 3 / 4 GB RAM variants. The 3 GB variant comes with 32 GB of internal storage and the 4 GB variant comes with 64 GB of internal storage. The internal storage can be further expanded up to 256 GB via microSD card. The Xiaomi Mi 5 is powered by a Qualcomm Snapdragon 820 processor coupled with Adreno 530. The Xiaomi Mi 5 comes with 3 GB RAM and 32 GB of internal storage. The Mi 5 does not support microSD expansion. There’s a massive difference between the two phones when it comes to the processor. The Snapdragon 625 is a new 64-bit processor built on the 20nm process, but it’s a dedicatedly mid-range SoC. There is simply no comparison with the Mi 5 which comes with the current Qualcomm flagship SoC, the Snapdragon 820. In this area, the Mi 5 wins hands down. The Zenfone 3 comes with a 16 MP f/2.0 camera with Laser and Phase Detection Autofocus, with Optical Image Stabilization and dual LED flash for assistance in low light conditions. The phone supports video recording up to 1080p at 30 FPS. On the front, the Zenfone 3 comes with an 8 MP camera with an f/2.0 aperture and support for video recording up to 1080p. All standard fare, with some extra points for featuring OIS and Laser autofocus in the main camera. The Mi 5 comes with a 16 MP primary camera with f/2.0 aperture, Phase Detection Autofocus and dual LED flash. Just like the Zenfone 3, it comes with OIS support as well. On the front, you get a 4 MP camera with an aperture of f/2.0 and 2µm pixel size. Even though the resolution is lower than the Zenfone 3’s front camera, it should actually help you to capture better selfies because of the higher pixel size. The Zenfone 3 and the Mi 5 both come with a 3000 mAh battery and a USB Type C reversible connector. While the Zenfone 3 does support charging up to 2A, Asus has not listed Fast Charging in the specs of the phone. The Mi 5 supports Quick Charge 3.0. However, given that both the phones come with significantly different processors, the actual battery life remains to be seen. The Mi 5 is available for Rs. 24,999 and it is available in three colours – White, Black and Gold. Both the Zenfone 3 and Mi 5 offer good value for money. However, while the Zenfone 3 is a decidedly mid-range phone, the Mi 5 is more of a high-end phone at mid-range prices. Snapdragon 820 processor in the Mi 5 tilts the balance heavily in favour of the phone compared to the Zenfone 3. Other specs like the display, cameras and battery are almost the same, with the Zenfone 3 beating the Mi 5 in terms of RAM and storage. In simpler words, the Mi 5 is a much better deal overall compared to the Zenfone 3.